JoJo Maman Bebe has always been a favourite of mine. I bought many maternity clothes there during both pregnancies, bought baby clothes there and continue to buy children’s clothes there. I also make use of the great discount (20%) they offer parents of multiples who are TAMBA members. Sizes go up to age six, which means I can longer buy for my eldest there, but it’s still perfect for my other two. 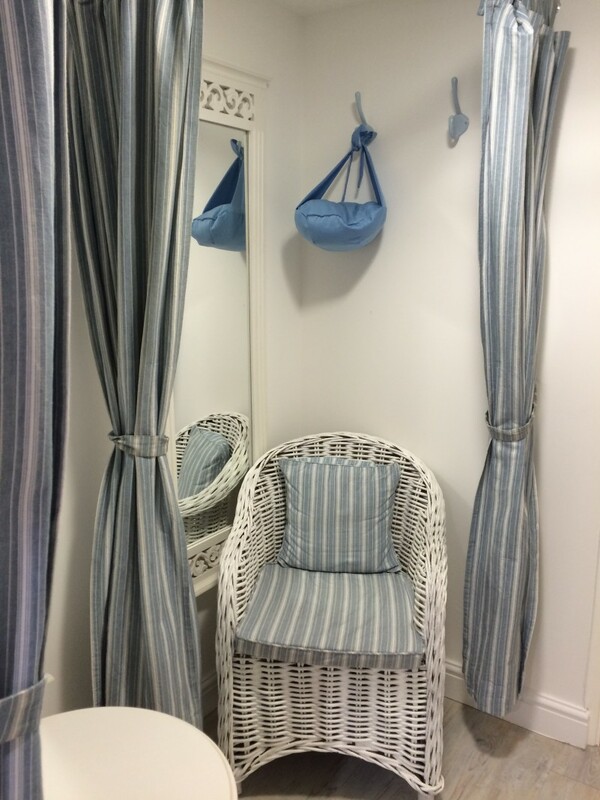 The clothes are a classic design, well made, wash well and use a lovely colour palette. What I particularly like is that they usually do the same items in different colours. This is really useful for me as I like to dress my four-year-old twin girls in the same style but different colours. The Kingston store was well stocked! 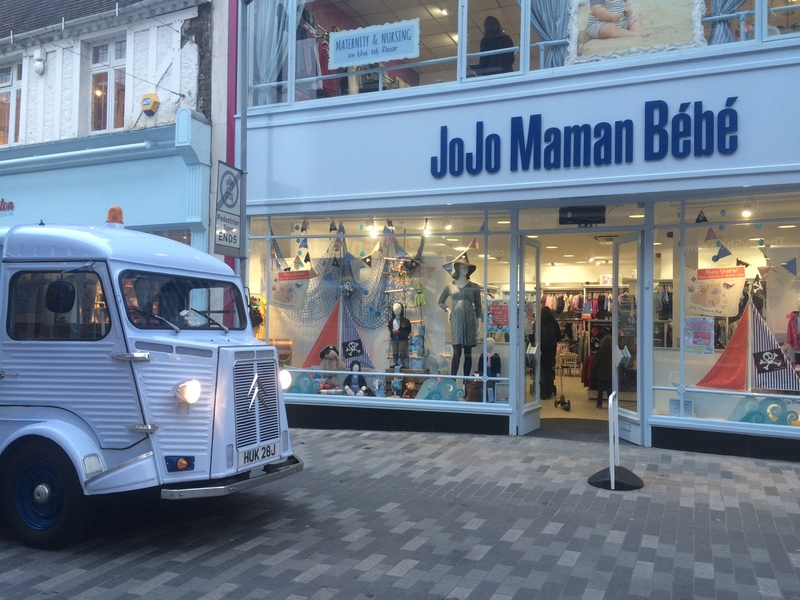 The Kingston branch in Surrey is my nearest JoJo Maman Bebe and happens to be the flagship store. It recently closed for a refurb. However, it re-opened today. 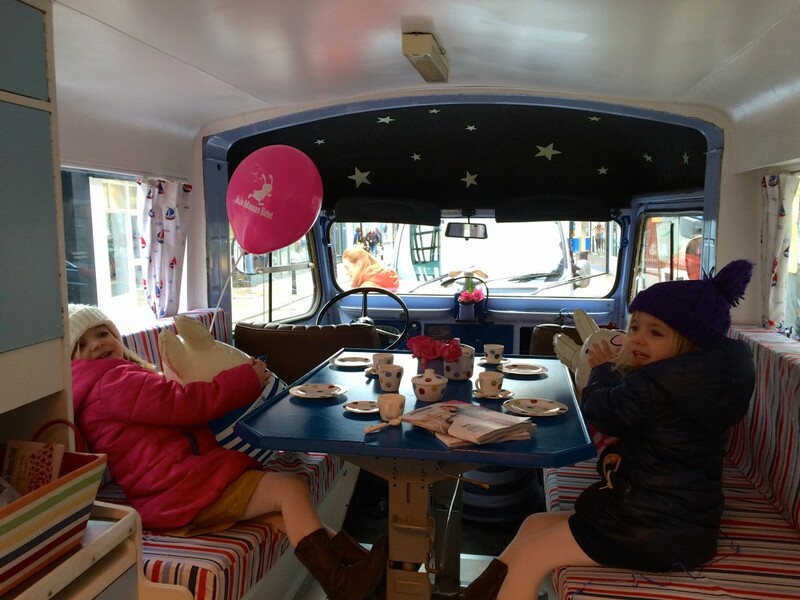 There were lucky dip discount cards for money off all purchases (10%, 20% or 50%) and an appearance from JoJo’s mascot Eloise – aka a restored HY Citroen van. The latter was a highlight for the girls as it was very cute inside and they got helium balloons that walked. However, I didn’t see any sign of the ‘fantastic freebies’ that had been mentioned in their event promotion. The downstairs layout hasn’t changed immensely, yet is more spacious than it was previously. They’ve also added a lift, which was really needed. 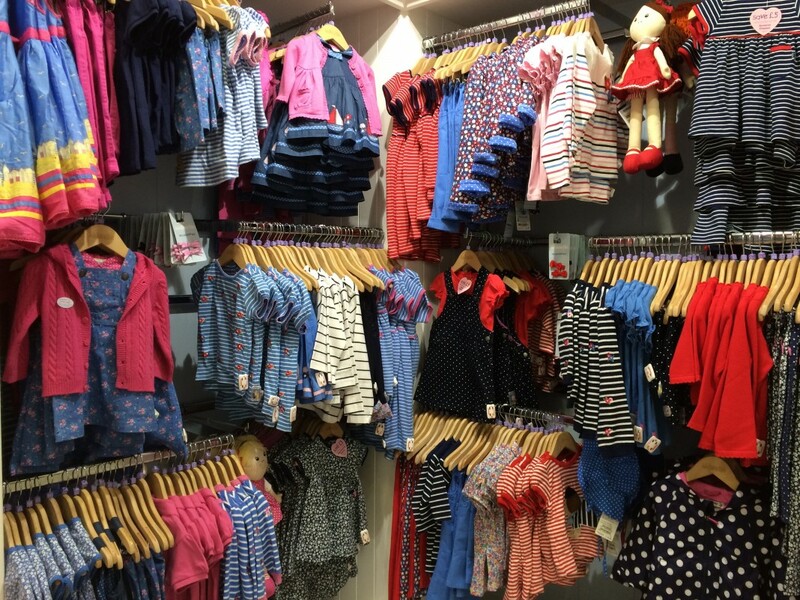 The baby and children’s’ sections looked far better stocked than before, perhaps due to the additional space. 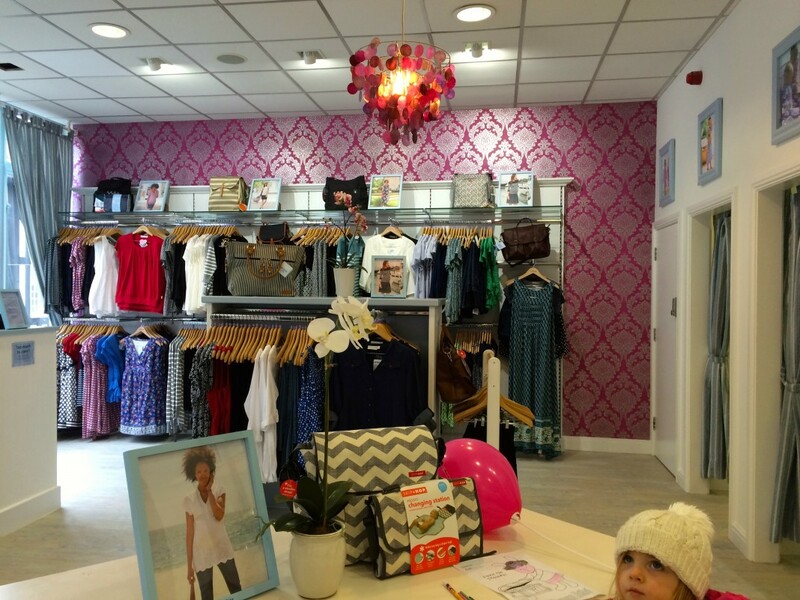 The upstairs maternity section has had a noticeable revamp and has a definite boutique feel about it. The other major addition is a dedicated baby feeding area, which looks very comfortable and is nicely tucked away from the shop floor. We bought two floral summer dresses: one in cornflower and the other in navy. They were £16 each. However, if you bought any two, you saved £5. JoJo Maman Bebe offers this type of ‘multi buy’ discount across its ranges at all times. I have’nt actually read your blog Fran but would just like to say what a lovely photo of Maria and Gabby. 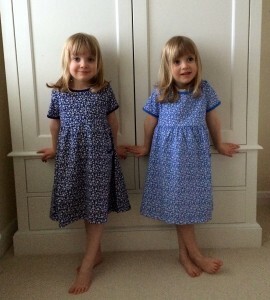 They are growing up so quickly and looking charming in their new dresses. Very model like!!! Bit cold for the dresses right now, but I got a 20% discount so it was £25.60 for the pair, so they can stay in the wardrobe until it warms up! !